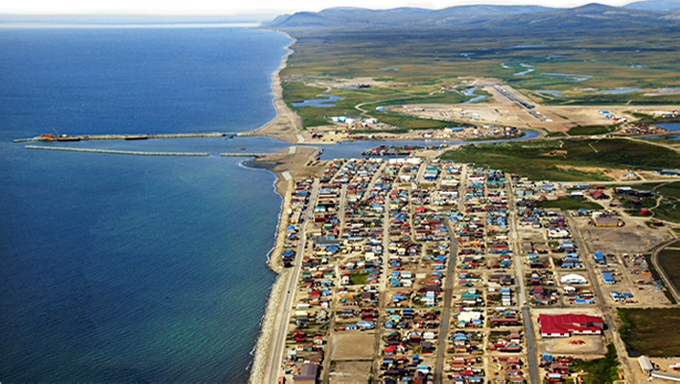 Nome is one of the top 100 placer fields in the world. There are literally millions of ounces of gold all over the area and even under the town itself. Onshore placer gold production from the Nome area between 1897 and 1964 was about 5,000,000 ounces of gold, the greater part of which was derived from placers on the coastal plain. Profitable gold placers are rarely found more than 6 to 12 miles (10-20 km) from bedrock sources. The Nome Offshore placer area extends from the current offshore beach for 2 miles to water depths of about 60 feet. 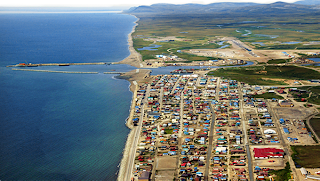 It extends about 10 miles parallel to the modern strand-line, commencing west of the the mouth of Nome River and continuing westward to the vicinity of Penny River. Today CHRISTINE ROSE must be the leading producer. Details please. Do you know who the details on the new jack-up dredge working offshore Nome in 2013? BTW The BIMA was a huge bucket drag-line dredge at 12,000 tons measuring 360' x 98' x 21' hull with a 14-story tall structure. 2012 Christine Rose produced 700 oz. worth $1,156,960.00 of gold. FYI - The Wild Ranger produced 84 oz. worth $138,835.20 in 2012. Remember actual gold production and the video air on TV are likely a year apart. Any clean out production reports in 2013 so far?